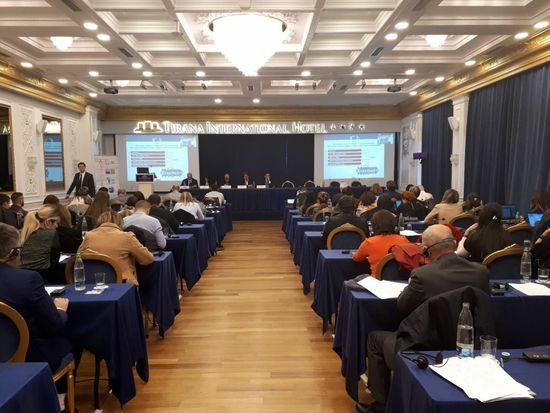 The CPMR organised a series of events in Tirana, on 20-21 November 2018, as part of the EU-funded AI-NURECC Initiative. These events fell under the AI-NURECC Skills Development and Training Action and the AI-NURECC Task Force on Tourism and Cultural Heritage. They brought together young people, politicians and officers from Regional and Local Authorities and representatives of Chambers of Commerce, Universities, VET, NGOs, Managing Authorities of ETC programmes, Interreg Project Managers. The events were aimed at promoting technical debate on the added value of EU policies and the macro-regional approach for AI countries, increasing the skills and knowledge of young people, students and civil servants on territorial development project design, promoting multi-actor networking activities and innovative synergies, and exploring collaboration opportunities with existing EUSAIR technical bodies. 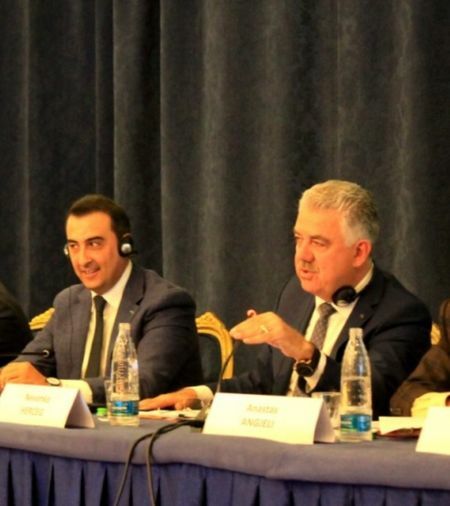 The forum was opened by Aldrin Dalipi, President of Tirana Regional Council, CPMR member, and Vice-President of the Adriatic Ionian Euroregion (AIE). The Montenegrin Chairmanship of the EUSAIR Presidency and the Montenegrin Chairmanship of the Adriatic Ionian Initiative were also among the speakers. In addition, the forum involved several high-level representatives from the European Commission, including representatives from the Directorate-General for Regional and Urban Policy (DG REGIO) and the Directorate-General for Education, Youth, Sport and Culture (DG EAC). Kicking off the event on 20 November, the CPMR held a Forum on EU Policies and EU Territorial Cooperation Opportunities focused on Technology, Innovation and Youth in the Adriatic-Ionian area. This was followed on the same day by a Training Workshop that focused on the practicalities of preparing and implementing successful cooperation projects in the EUSAIR. It included examples of best practice, tips on what to avoid doing, and also highlighted the forthcoming opportunities under the Interreg ADRION and other cooperation programmes. Moving on to 21 November, the CPMR set up an Info-Kiosk to support dialogue in the field of cultural heritage and tourism. It offered visibility to non-EU Members and promoted the diversity and the great potential of the Adriatic-Ionian Region.